Well, that was short-lived. After just one month, China has nudged Japan out of the way, retaking the top spot as the world's biggest holder of U.S. debt. Treasury Department data released Friday showed that China owned $1.261 trillion worth of U.S. government securities at the end of March, compared to $1.2269 trillion for Japan. This marks the first time China has upped its Treasuries since last August -- for months, China had been selling U.S. debt. Japan, on the other hand, has mostly increased its holdings in that time, which is why the country became the top U.S. creditor last month. But take it with a grain of salt: Treasury's monthly report is based on estimates compiled by the U.S. government, and generally doesn't include what institutions may be purchasing on behalf of the Chinese government. China doesn't publicly report its U.S. holdings, so it's nearly impossible to know exactly how much U.S. debt China holds. 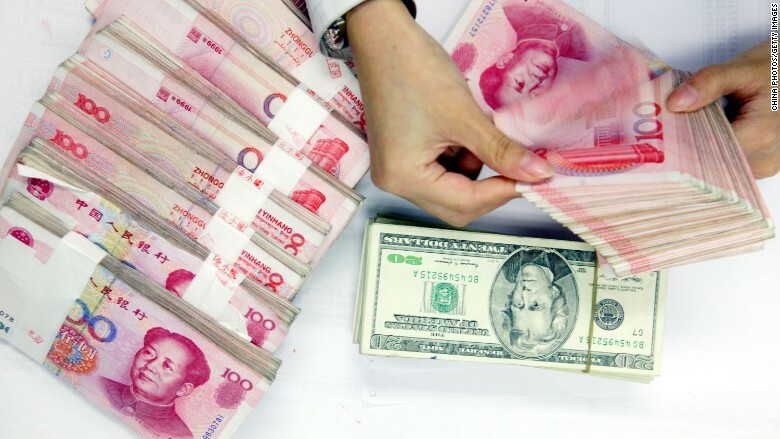 China has in the past bought Treasuries as a way to keep its currency, the yuan, pegged to the U.S. dollar. That helped lower the value of the yuan and made China's exports more competitive in foreign markets. In recent years, partly due to U.S. pressure and partly as an effort to curb its own inflation, China has allowed the yuan to rise in value.